HAMPTON, Va. (April 4, 2019) — The Hampton University School of Liberal Arts and Education has selected Tim Seibles’ “One Turn Around The Sun” as the 2019 Hampton University Read-In book. This year’s Hampton University Read-In will take place on Tuesday, April 9 at 6:00 p.m. at the Memorial Chapel. This event is free and open to the public. “The School of Liberal Arts and Education’s Read-In events are not only educational, but inspirational for all. We welcome Mr. Tim Seibles to Hampton University to share his poems with us, and to inspire attendees of this year’s Read-In,” said Hampton University President, Dr. William R. Harvey. Since 1988, The Hampton University Read-In has been an event designed to offer all segments of the University community and surrounding communities the opportunity to focus on one particular book for study and discussion. Through the years, selected books have been both works of fiction and non-fiction by African-American authors such as Michael Eric Dyson “The Black Presidency, Barack Obama and the Politics of Race”, Ernest Gaines’ “A Gathering of Old Men,” Ishmael Reed’s “Flight to Canada,” Alice Walker’s “The Color Purple,” Toni Morrison’s “A Mercy,” Tayari Jones’ “Leaving Atlanta” and Dr. William R. Harvey’s “The Principles of Leadership: The Harvey Leadership Model.” The 2019 selection, “One Turn Around The Sun,” the Read-In’s first selection of poetry, asks several questions, the most central being how can a person stay sane when so often socio-political circumstances mock all efforts to create a livable world? 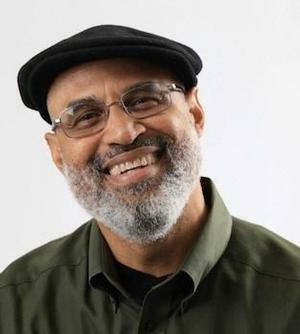 Born in Philadelphia in 1955, Tim Seibles is the author of six collections of poetry, including his most recent, “One Turn Around the Sun” (Etruscan Press, 2017) and “Fast Animal” (2012), which won the Theodore Roethke Memorial Poetry Prize, received the PEN Oakland Josephine Miles Award, and was nominated for a 2012 National Book Award. Other titles include “Buffalo Head Solos” (2004), “Hammerlock“ (1999), “Hurdy-Gurdy“ (1992), and “Body Moves” (1988). His poems have been published in the Indiana Review, Black Renaissance Noire, Cortland Review, Ploughshares Massachusetts Review, Beloit Poetry Journal, and numerous other literary journals and anthologies, including “Best American Poetry.” Seibles has received fellowships from both the Provincetown Fine Arts Center and The National Endowment for the Arts. He also won the Open Voice Award from the 63rd Street Y in New York City. On July 15, 2016, Seibles was named Poet Laureate of Virginia by Governor Terry McAuliffe. Seibles lives in Norfolk, Virginia, where he is a member of the English Department and MFA in writing faculty of Old Dominion University. He is a teaching board member of the Muse Writers Workshop. For more information, please contact Daryl Lynn Dance, Read-In Coordinator, at 757-728-6121.